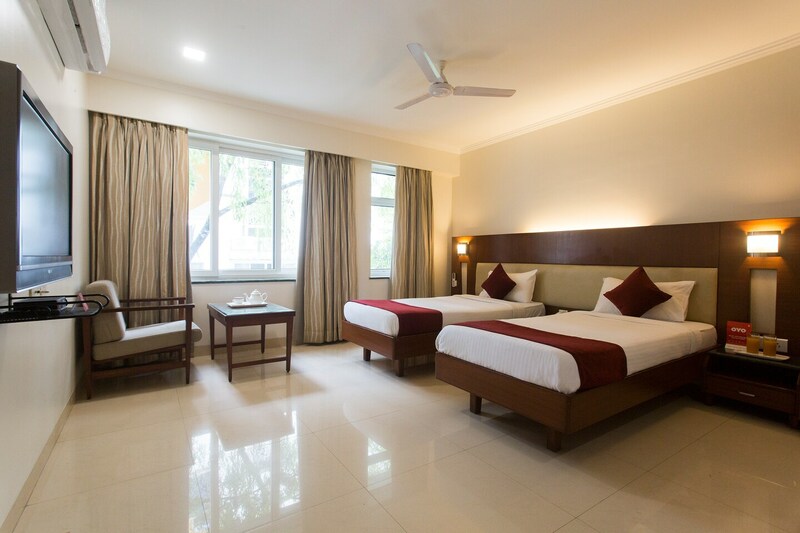 Offering comfort and great services at budget rates, OYO 428 Hotel Sudarshan in Pune is an ideal lodging for travelers touring the city. The OYO is maintained with a skilled and friendly staff to ensure you have a good stay. The hotel provides facilities like fire safety, first aid and round the clock security for the guests? security. To make the most of your visit, head out to famous tourist spots like Aga Khan Palace, National War Memorial Southern Command and St Mary'S Church. There is HDFC Bank ATM, ICICI Bank ATM and Standard Chartered Bank ATM nearby the hotel so you are never out of cash.